Creating a Moroccan inspired room in your home can be quite overwhleming, there are so many colours, textures, and patterns to play with! If there seems to be too much inspiration, or too many options floating around, a good place to start is with pillows! 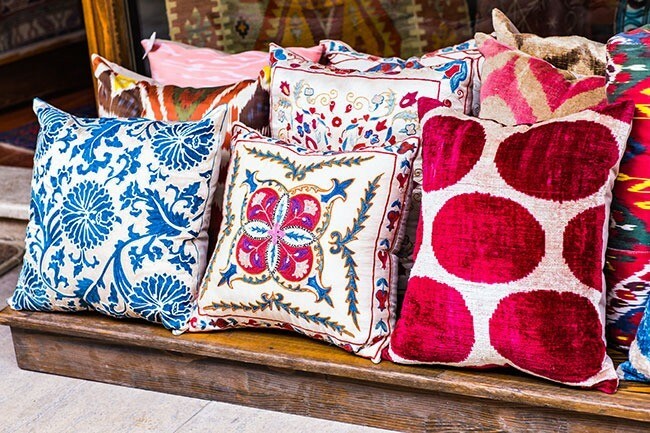 You can easily add colour, texture, and patterns with an overabundance of pillows!